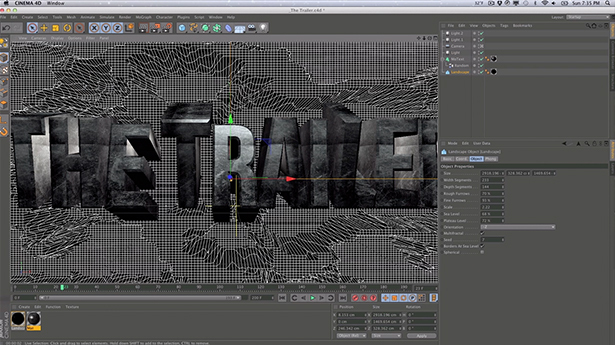 Hey guys, it’s about time I pulled out a Cinema 4D tutorial! This is my first one and I wanted to take it easy to see how everything would go. In this tutorial, we’re going to take a look at some basic 3D MoText, the Random Effector, and some basic lighting and texturing. We’ll animate and set up the core animation within Cinema 4D, then in the next tutorial, we’ll bring it all together with color correction, compositing, and grading all within After Effects. Hopefully you guys were able to follow along. It is definitely a lot different walking through Cinema 4D, especially with the screen estate! Don’t forget to play around with the lighting to get better looking bevels and reflections. I’d also recommend adding some more elements and movements in the scene. Stay tuned for the next tutorial where we’re really going to have fun messing with this animation. Also, I’d love to hear what you guys thought of this tutorial. Should I slow down, go over more advanced stuff, etc? Love to hear the feedback! Has anyone said u that is great?